The CIT Student Services Company in conjunction with CIT hosts large groups each summer from a variety of backgrounds. The most common of these are foreign language students who visit CIT each summer to learn English. Arrangements are made primarily through CIT - who provide classrooms and campus facilities. 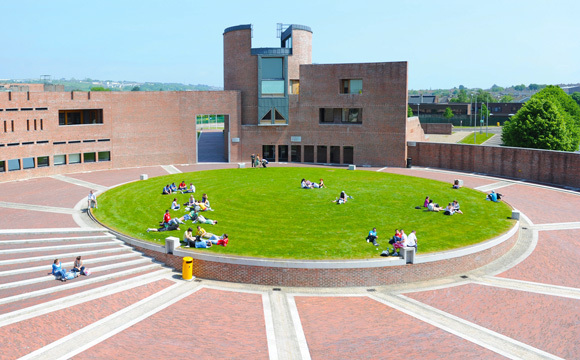 CIT in turn liaises with local student residences for accommodation requirements and the CIT Student Services Company for catering requirements. During the summer the Student Services Company is available to provide breakfast, lunch and dinner service, seven days a week. The company has catered for a wide and diverse range of groups over the last number of years. In Summer 2014 for instance, there were customers from Russia, mainland Europe and the Middle East all on campus. Our chefs tailor each menu to accommodate each group – for example, sourcing halal prepared food for Middle Eastern students. Attached please find a typical two week menu cycle for a typical summer group. The menu is a starting point and in conjunction with our customers we either adjust it in advance or as we progress when groups are on campus. The menus attempt to provide food that is health conscious, but that also exhibit/sample local Irish food tastes as well as the tastes of our customers from whatever background they belong. The pricing for the above will depend on a variety of factors - group numbers, menu range etc. Our pricing is very competitive and our staff are committed to working with customers to arrive at the best solution for all parties. For any group enquiries, it is best to first contact CIT representative Carmel Hayes at 021 – 4326759 or by email at Carmel.Hayes@cit.ie . Once initial details are agreed you may liaise with the Company’s Operations Manager, Geraldine O’Sullivan at 021 – 4335499 or by email at Geraldine.OSullivan@cit.ie for specific catering arrangements.